How many times are you solicited a week by companies cold-calling you and offering their SEO services to you? Their promises are almost too good to be true – guaranteed top rankings in only two weeks?? If it were that simple, everyone would be doing it! We had a client come to us a few weeks ago with a contract he had signed with an search engine advertising agency – he was confused about his contract and wanted us to look into what they were promising him. The biggest emphasis was on back-links to the website and they downplayed content on the site. Because he believes “Content is King”, our Social Media Strategy Director nearly spit out his coffee when he read the contract. It is a huge red flag if an SEO Company says the content they would be creating isn’t as important as the back-links blogs and articles create. When they say this, they are signaling that they don’t care about your content, just your rankings. They might be using SEO tactics that are not just frowned upon in the marketing world but could have your website penalized by Google. If there is any mention of selling or hiding links in your website, be very wary! 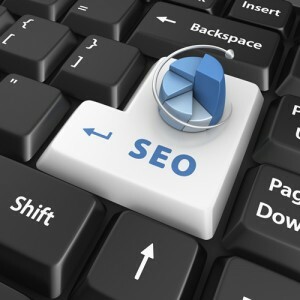 You can protect yourself from SEO traps by learning some of the basics. We like to educate our clients on what we are doing and why it is helpful for them. We create solutions to your problems, and find the real opportunities you are missing out on – we don’t just hand you a package deal and insist that you need it all. We like to think that we’re special when it comes to digital marketing, because we don’t just give you cookie-cutter options. We develop a marketing strategy specifically for your business, and we measure and adjust our tactics to best-suit your needs. We don’t make false promises, and we are realistic when it comes to goals. We partner with you to help your business grow, and we take pride in the work we do.